We can’t lie, it’s getting a little boring watching ads where companies try to get one over their competitors by simply prodding them with the biggest, spikiest stick they can find, but at least this new ad from Amazon does actually talk about the company’s own tablet as well. Newly airing and comparing Apple’s new iPad Air with Amazon’s Kindle Fire HDX 8.9, the ad goes straight for the jugular by using a British voiceover for what at first looks like it could be an ad for Apple’s iPad Air. Describing the tablet as ‘magical,’ the voiceover has what can only be described as a back and forth with an American voiceover who, predictably at this point, is providing Amazon’s counterpoints. So, when the iPad Air’s lack of weight is mentioned, we’re quickly reminded that the Kindle Fire HDX is actually 20% lighter. It’s cheaper too, and as we’re told by the enthusiastic American, it has a million more pixels in it’s screen, too. 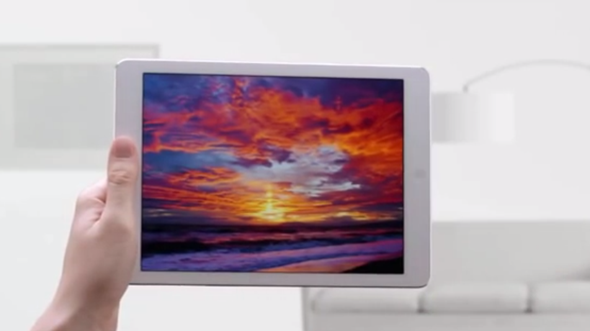 The ad ends with the British voiceover man going quiet and the iPad Air disappearing from view. For anyone looking to buy a new tablet and without any allegiances either way, we suspect the ad will do a good job of at least getting people to look at Amazon’s iPad alternative, which is all the company can really ask for in a world dominated by Apple’s tablets. Amazon isn’t the first to go after Apple in an ad like this. Samsung was possibly the first to unashamedly discuss Apple’s failings in an ad, while Microsoft is no stranger to the concept of late either following its recent Windows RT push that has seen the iPad once again on the receiving end of a bashing. Quite how effective any of these ads are is something unknown at this point, but we’d argue that having to talk about Apple in ads for competing products doesn’t look good for the companies that make them – are these competing products not good enough to be advertised in their own right? Who will be next to use Apple as a punching bag in one of its ads?